During a visit to West Papua, the US Ambassador to Jakarta met with local environmental and human rights activists. The Ambassador expressed concern about the situation of the island’s endangered tropical rainforests and indicated that the Unites States is willing to cooperate for the protection of the local environment. The United States government has indicated it wants to help protect the endangered forests of West Papua. This follows a trip to the Indonesian provinces of Papua and West Papua this week by the US Ambassador to Indonesia, Robert Blake. Among a range of consultations he had while in the remote region, Mr Blake met with Papuan activists in Jayapura on Tuesday 19/1/16 to discuss issues such as human rights. 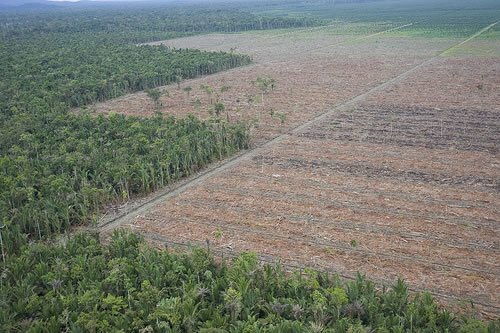 Mr Blake also discussed ongoing, rampant clearance of forest and peatlands in Papua which has some of the world's last remaining substantial tracts of rainforest. One of the people Mr Blake talked with was Father Neles Tebay of Papua's Catholic Justice and Peace Secretariat who spoke to Johnny Blades. NELES TEBAY: In the meeting between the US Ambassador and we Papuan activists, the US ambassador was keen to know about the present situation in Papua. He wants to know about issues related to forests because of the climate change personal commitment on climate change made in Paris last year and how it can be implemented in Papua. So he discussed about how to keep the Papuan forests intact. Because the Papuan forests are considered as the world's lungs. So once the lungs are destroyed, it is not only the Papuans or only the Indonesians but the internatinoal community who will pay the price. JOHNNY BLADES: Did he give you any sign that the US can do something to help with the rights or the forests? NT: Yeah, I think he's willing, he's at least willing to help, of course in collaboration with the government of Indonesia, and the local government here, also in collaboration with some local NGOs. JB: But what practically can the Americans do? NT: I think he might raise the issue with the government of Indonesia. In the meeting, he didn't say he's committed to help the Papuans through local government or GOs, but in my understanding, knowing the destruction of forests in Papua and its implications, he might raise the issue in his conversations with central government of Indonesia in Jakarta.